Having to move in with relatives for a short time is often a stressful decision during a stressful time. Whether it's due to a sudden life change, moving to a new home, or needing to take care of family members, living with extended family requires patience, organization, and temporary homes for all your belongings. How can you make the best of moving in with your family during an adjustment period? Here are a few tips to make it smoother. If you're in the middle of a big life change, now is probably not the time to make decisions about your belongings. You may wind up either getting rid of too much (or things with sentimental value), or you may find yourself unable to part with things. Instead of making decisions you may later regret, rent a storage unit for the majority of your things for now. You can always revisit your choices in a few months or a year and assess how you feel about things then. A storage unit is a great way to keep your belongings safe and out of the way while living with others, too. You likely won't need a lot of practical items — such as kitchenware, towels, bedding, curtains, and large furniture — so storing them is an inexpensive way to avoid overfilling the house and still keep your stuff intact. Are you living in a tight space with a bunch of other family members? Organization is key to surviving and thriving. Assess your existing organizational tools, including desk organizers, baskets, clear bins (both large and small), shelving, and plastic or wire organizers for shelves and drawers. Instead of putting these organization items in storage, keep out anything that has potential for organizing items — keep in mind that it's better to have too many options than not enough. Sit down with everyone living in the same house and talk about the house rules. Even a family or friends that get along most of the time can easily have trouble once they are all living together 24/7. The best way to avoid conflicts that could ruin relationships or make someone move out prematurely is to agree on a few basic ground rules everyone can follow. What kind of house rules should you establish? You don't need to go over all the minutiae of daily living, but do discuss things like going into each other's private rooms, sharing common household items, paying for groceries and monthly expenses, and quiet times. One hard part of putting your stuff into storage is deciding what you will need over the next few weeks, months, or more. Afraid you'll need a large tool or piece of equipment? Wonder if you'll regret storing furnishings, seldom-used clothing pieces, or home office equipment? Don't fret — rent! You can rent many things locally or online these days. This also means you can more easily decide to store your personal goods and not worrying you'll need to visit your storage unit frequently to retrieve needed items. Look for rentals on things like power tools, vehicles, party clothes, textbooks, electronic devices, business equipment, and various furnishings. If you need to rent odd items, you may be able to ask around local associations, social media groups, or online platforms to match up with people who are willing to rent things to others informally. 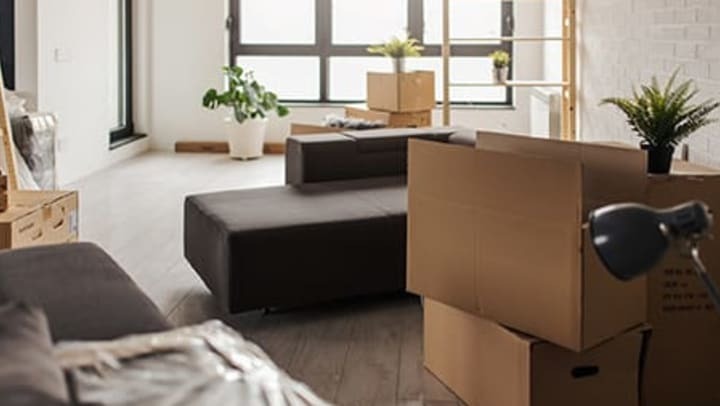 Temporarily moving in with others isn't the easiest time in most people's lives, but you can make it work for everyone by doing a little prep work and making a plan. For more help planning all your storage and moving needs, talk with the experts at Cardinal Self Storage today.